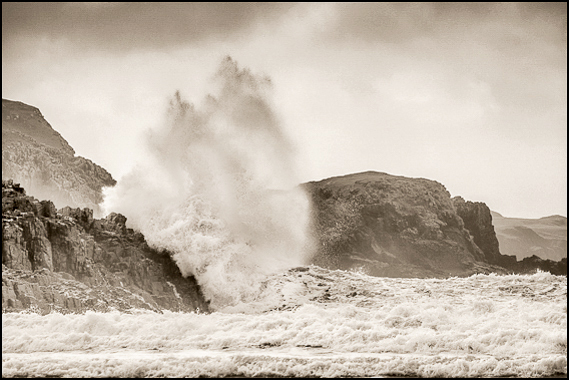 A trip up to the north coast of Scotland without a storm or two would not feel right whatever the time of year. We had cause to keep our pop up roof on the VW down on a few occasions on this trip and Gwenda was lifted off her feet during one very gusty walk out to the lighthouse at Strathy Point. When you can’t talk to one another for the noise, daren’t go anywhere near anything looking like a edge, are intoxicated by the awe of what you are immersed in and whipped off your balance by the wind, you know you are in the heart of a Scottish storm. We had spent the night wild camping in a small hollow tucked away from the north wind at a place called Brawl about half a mile off the A836 that runs east-west at the very top of the country. 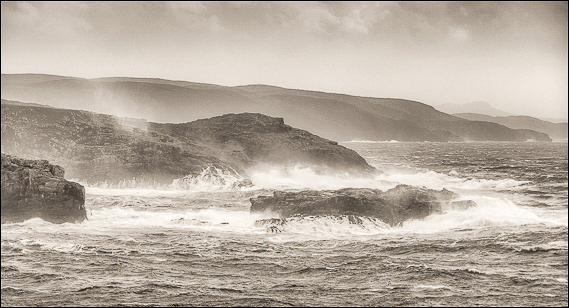 After a morning of heavy rain the clouds lifted but the wind strengthened. 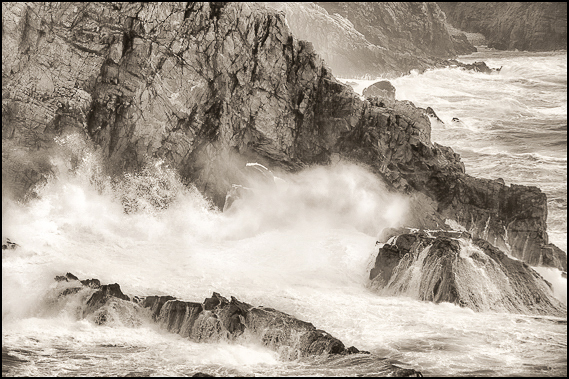 Photography was not easy with a constant mist of seaspray and gusts that had your eyes watering, but the experience needed recording despite the fact that I knew the images would never do justice to the actual event! They never do, never have and never will. 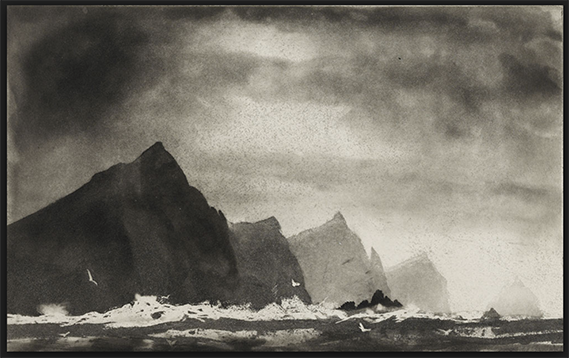 In comparison with the likes of Norman Ackroyd’s watercolour sketches and prints of the rough seas in his ‘A Shetland Notebook’ they don’t even come close!